To increase the number of safe countries around the world, we must address societal influences of safety and invest in specific interventions to hazards. 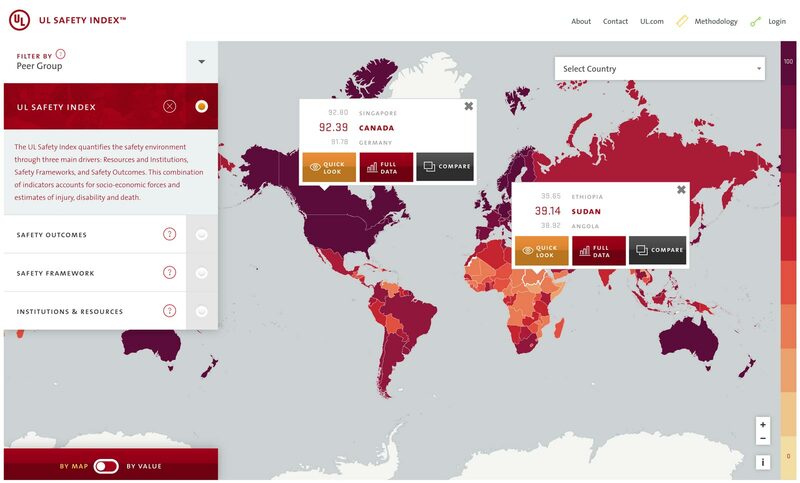 The UL Safety Index is a data science initiative that seeks to address gaps in knowledge and information about health and safety by providing a country safety index for 187 nations. 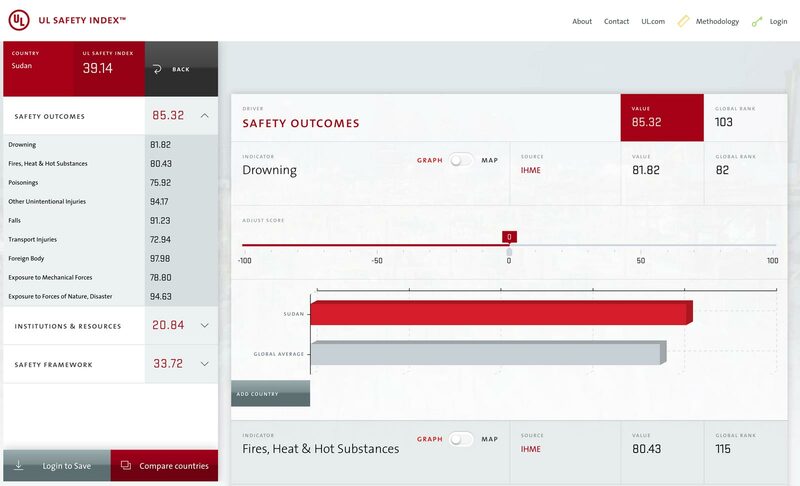 The UL Safety Index is a collaborative effort spearheaded by Underwriters Laboratories Inc. 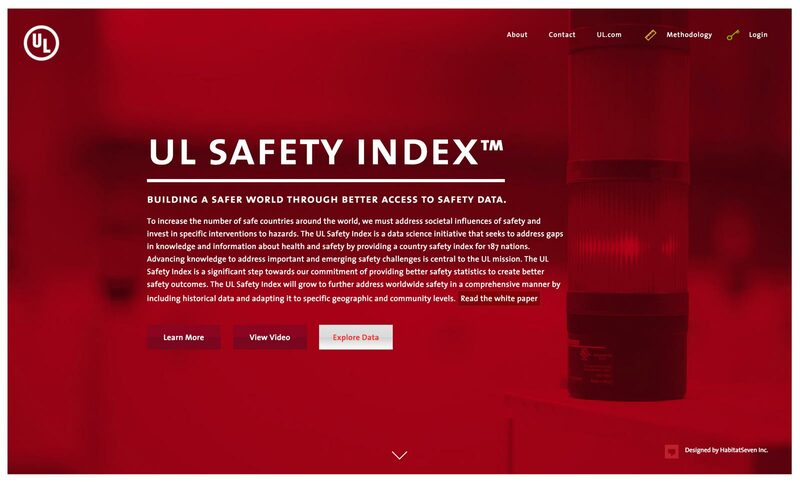 The UL Safety Index (the Index) is constructed through the calculation and aggregation of 16 indicators reflecting national-level social, economic and safety data. These indicators are combined into three drivers, each related to a specific aspect of safety. The objective of this project were to create a data delivery system and visualization engine to allow people to see relative safety at the country level. 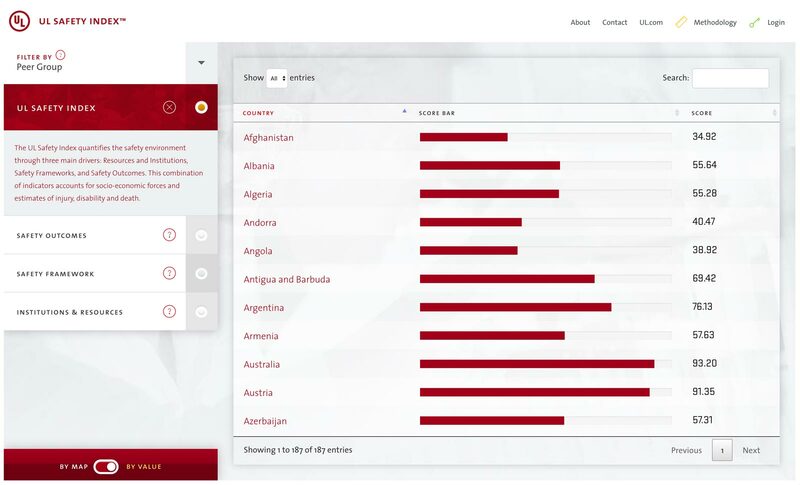 The UL Safety Index site allows users to access this critical data through maps and graphs, downloading the supporting data, and adjusting the underlying indices to see how countries measure up to one another and where there are opportunities to improve worldwide safety.